These two dominant narratives ignore what others find obvious: that every status quo, every large system, always has beneficiaries who have no real desire for change. The more time that passes, the more layers of vested interests that are added – in the government, the army, the diplomatic corps and the industry of peace NGOs that benefit from the existing situation, make a living from it and acquire their prestige from it. Forty-seven years after the Six-Day War and 20 years after the Oslo Accords, the number of interest groups that benefit from the occupation, the conflict and the “process” is growing by the year. In Israel, the numbers have begun to enter the public discourse over the past year: the vast size of the army, the staggering waste, the frightening actuarial commitment to noncontributory pensions. Every so often, a few retired generals suddenly leap up and espouse a “dovish” stance, as former Shin Bet security service and Mossad chiefs did in recent years. But this is of dubious authenticity. They always recall that “the occupation corrupts” and that we must strive for peace – but only after they are removed from positions of power. One always suspects that their new opposition or peacenik approach is a way to grab headlines or to enter politics. The crucial question is: Which groups benefit from the situation of war, which groups thrive on the “process” and who will benefit from a significant change in the situation? Is it really the case that the entire Palestinian leadership, all the Palestinian businessmen with close ties to the government and all the dozens and hundreds of NGOs that are funded by the European Union and the United States are longing for an end to the conflict? Fifty-three years ago, an American president warned his nation against the “military-industrial complex” – the takeover by economic and military interests of foreign and security policy, creating a tentacular, all-powerful interest group. The Israeli-Palestinian version cannot rest only on war; in the Israeli complex, the threats of war and terrorism dovetail with the “process” and an incessant striving for peace. In the 1960s people used to say “what if they had a war and no one came?” But today the more interesting question might be “what if they opened a peace center and no one showed up?” In many cases this is precisely the fact. 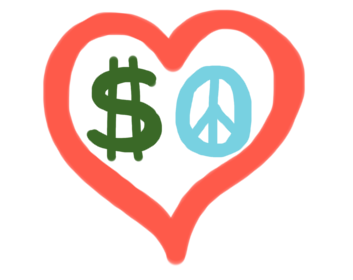 The dozens of peace organizations have budgets and little to show for it(. They are self-masturbatory. They exist for the sake of existence. Their budgets are self-justifying. While it has never been shown that these peace centers actually produce terrorists, it has never been shown that the ‘graduates’ of places like Seeds of Peace actually are more peaceful and actually help the never ending ‘peace process.’ Additionally a number of peace activists actively encourage terror through their definitions such as ‘international law’, among them Hilary Rose who declared in the Manchester Guardian on May 26th, 2007 in an article ‘the Only Weapon Available’ that “today it is hard to see what weapons, other than the counterproductive, though legitimate, armed intifada (though legitimacy does not extend to suicide bombers killing civilians) the even harder pressed Palestinians have.” Baruch Kimmerling, a tenured Professor at The Hebrew University of Jerusalem declared on March 27th, 2001 in an article in Haaretz entitled ‘The Right to Resist’ that “the continuing circumstances of occupation and repression give them[the Palestinians], by any measure, the right to resist that occupation with any means at their disposal and to rise up in violence against that occupation. This is a moral right inherent to natural law and international law.” The Peace Lobby actively excuses and may in fact in some instances incite and educate for hate and terror and murder, only so that the same peace lobby can then help the ‘victims’ work towards peace, a peace they have helped so brutally shatter. In its recently released annual report, Amnesty International accused Israel of a laundry list of human rights violations, almost all of which had to do with the occupied Palestinian territories. Most interesting was the list of complaints related to Gaza. The continuing saga of Gaza is an important symbol of a larger phenomenon. The occupation of the Palestinian territories can never end because of the vested interest many organizations have in maintaining the fiction of Israeli control, even when control is withdrawn. It is well known that Israel does not control the border between Egypt and Gaza and yet the condemnation for not providing access to hospitals for Gazans assumes that Israel is responsible for providing medical treatment for people in Gaza; once again perpetuating the idea that Israel’s occupation can never be allowed to end. Human rights organizations and the peace industry are beholden to the occupation, addicted to it – no less than Israel’s most extremist right-wing voices. This may seem a contradiction: how can organizations devoted to ending the occupation in fact support the occupation? The answer: Because the occupation is their raison d’etre and without it they cannot exist. This is typical of the NGO world. For example, those organizations that devote their existence to ending poverty require that poverty be perpetuated because NGOs have become an industry and choice place of employment. That is why we see in the world of NGOs a multiplication of overlapping groups with “mission creep.” This multiplication becomes an intense lobby to support a professional class, to the extent that entire university degrees are now devoted to the phenomenon of the NGO profession. The Temporary International Presence in Hebron (TIPH) is emblematic of this issue. Initially established in 1994 to monitor events in the city following Baruch Goldstein’s murder of 29 Palestinians, it is still around today. Supported by five European countries and Turkey it has a relatively small operating budget of $2 million, excluding salaries. Yet when one factors in the salaries paid to up to 90 international members of the team, the figure is closer to $10m. (TIPH does not publicly disclose its complete budget). In truth, there is nothing “temporary” about this mission. It maintains three buildings, a fleet of small cars and has its own dining facility. It also helps local Palestinians with such projects as providing protective clothing to the Hebron fire brigade and building the Tariq Bin Zaid Sports Center. Were Israel to withdraw from Hebron, is there any supposition that this sizable mission would pick up and leave? TIPH is only the tip of the iceberg, of course. Between 1999 and 2007 Norway provided NIS 3.5 billion ($560m.) in aid to various Palestinian projects. Obviously, all this aid does not go to activities related to Israel or the occupation. However, in the discussion of aid to hospitals, the Norwegian Agency for Development Cooperation Annual Report for 2009 notes that “the hospitals are also important for strategic reasons, as [is] the maintenance of Palestinian services, and the right to access to Jerusalem for Palestinians.” Should one therefore assume that if Israel were to leave east Jerusalem, the aid would dry up because the hospitals would no longer be “strategically” necessary? 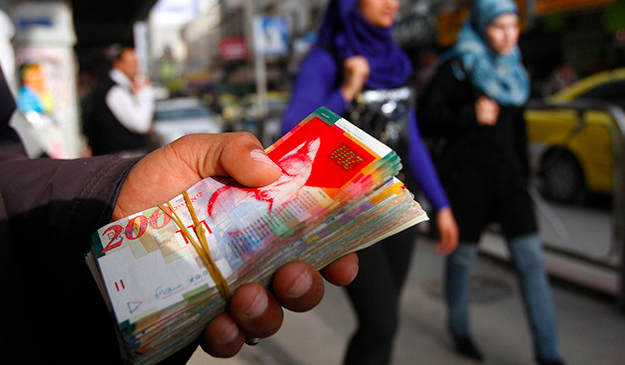 Additionally, European aid to the Palestinian Authority totals some $600m. annually, with the latest EU deal signed in March totaling $397m. Much of this goes toward Palestinian salaries and investment in certain projects such as the the building of a waste treatment plant. Other financial commitments find their way to the Palestinians via the United Nations Relief and Works Agency (annual budget, $1.23b.). Some $600m. is spent by the US on aid in the West Bank and Gaza, of which about $200m. is spent by USAID on infrastructure and other projects. Some of these infrastructure projects are purposely constructed without building permits in the West Bank, so that 10 percent of all buildings Israel demolishes for code violations in the West Bank are foreign-funded projects. Out of all this largesse, the amount of money that goes to the peace industry is relatively small. It was revealed in a 2010 WikiLeaks cable that the New Israel Fund, which funds many Israeli NGOs involved in human rights work, has a budget of around $18m. for 350 NGOs. B’Tselem, the premier NGO that reports on human rights abuses in the West Bank, has a budget of around $2.3m. The European Instrument for Democracy and Human Rights, an EU organization that grants money to human rights NGOs, spent around $5.2m. in 2009 and 2010 on aid to various organizations in Israel and the West Bank that deal with the occupation. The overall funds devoted to promoting “peace” and “human rights” and combatting the occupation are therefore more than equal to the total value of goods produced in the settlements. So who has a greater financial incentive to keep the settlements where they are: Psagot wines or B’Tselem, Peace Now or Shamir Salads? This is an irony, of course. That more money is devoted to fighting the occupation than the occupation ever produces shows how an industry – a “peace industrial complex” – has grown up around the occupation. It supports “peace” and works towards a “just settlement,” but it needs conflict. Tens of thousands of Europeans and other international workers would be out of work if the occupation ended – TIPH alone has 100 employees. And how many educated Palestinians are sucked into the web of NGOs that combat the occupation, that apply for permits for people to go to hospital in Jerusalem, for permits to study at Bir Zeit from Gaza and other causes? Israel can survive withdrawing from the West Bank, but can the international community, the Palestinians and the Israeli NGO networks truly countenance such a future? If the conflict’s stakeholders are any indicator, the answer is no. Palestinians and Israelis might consider questioning the motives of these outsiders and whether they are in it for the money or for the people. It seems the occupation must be maintained at all costs. Literally.